Divorcing spouses are required to provide each other detailed information about income, expenses, assets and debts. You must complete a disclosure whether you initiated the divorce or are responding to it, even if you have little money or debt. The law describes two sets of disclosures: preliminary declarations of disclosure exchanged at the beginning of the action and final declarations of disclosure exchanged before trial or settlement. Neither disclosure package is filed with the court. The preliminary disclosure in California consists of several court forms and many attachments. The Declaration of Disclosure, FL-140, is a cover page identifying the documents that are part of the disclosure. To this you must attach either a completed Schedule of Assets and Debts, FL-142, or a Property Declaration, FL-160. You also must attach an Income and Expense Declaration, FL-150, as well as copies of the numerous financial documents listed on the form including property ownership deeds, investment and bank account statements, tax returns and credit card statements. The form also requires a statement of business opportunities. You must sign the Declaration of Disclosure under penalty of perjury. You must serve a copy of your preliminary disclosure documents on your spouse. You cannot hand it to your spouse or mail it yourself but any adult can do it for you. That person must fill out and sign a proof of service form, specifying when and where she mailed the document. The disclosure documents are not filed with the court. If your spouse responded to the divorce petition and you have not settled the matter, you must file a second set of disclosure documents before the case goes to trial. You redo the same forms that you filled in for the preliminary disclosure using updated information. Again, the documents must be served on your spouse but not filed with the court. The only property disclosure document that is filed with the court is the Declaration Regarding Service of Declaration of Disclosure and Income and Expense Statement, FL 141. In this form, you swear under penalty of perjury that you filled in the appropriate disclosure forms, that you did so accurately, and that you served your spouse with the documents. You complete this form and file the original with the court after you serve your final property disclosure documents. 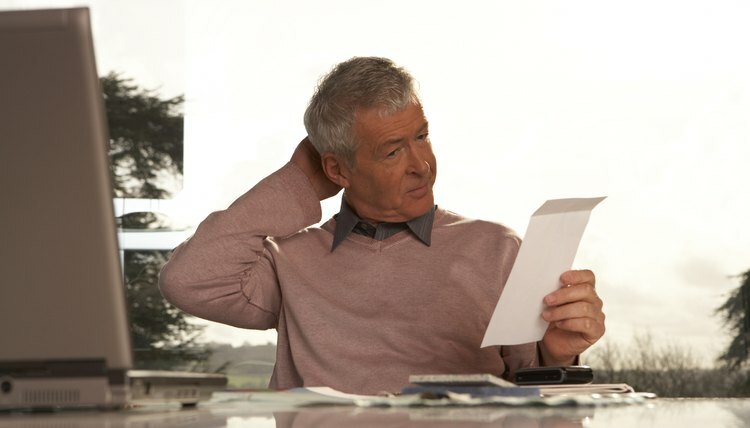 What Financial Information Do You Need to Disclose in a Divorce? “Pro se” is a legal way of saying you’re going to handle your divorce on your own. You don’t think you need the services of an attorney to help you and your spouse separate your lives. You might change your mind later, especially if you and your spouse can’t agree on a marital settlement agreement. However, filing the required paperwork to begin your divorce proceedings is usually the easy part in every jurisdiction, including Oklahoma. Before a divorce is finalized, most states require the parties to file a disclosure statement, which sets out their assets and liabilities. These statements give the court information about the finances of the parties and assist the court in reaching an equitable division of property. Because divorce is a matter of state law, the process varies slightly among states. However, it is substantially similar in all states. You should familiarize yourself with the laws in your state. What Forms Are Filed for a Texas Divorce?